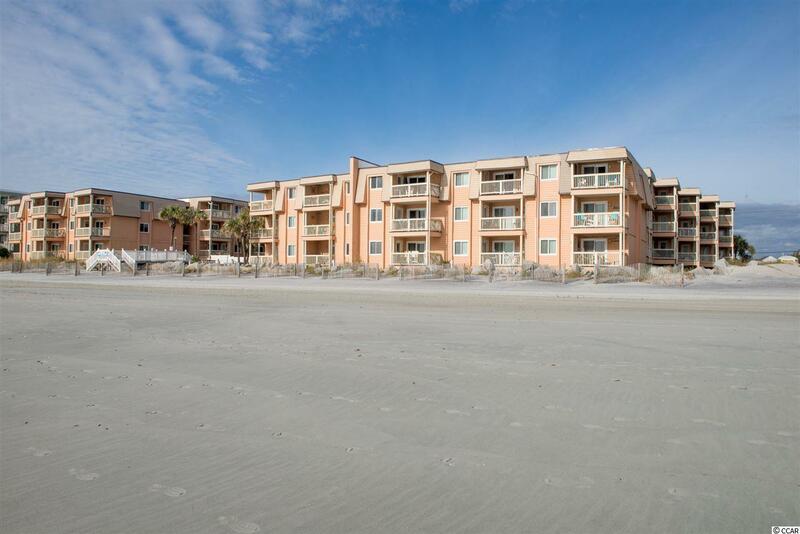 Are you ready to own your own place at the beach? The Beach House in Garden City Beach could be your home away from home. 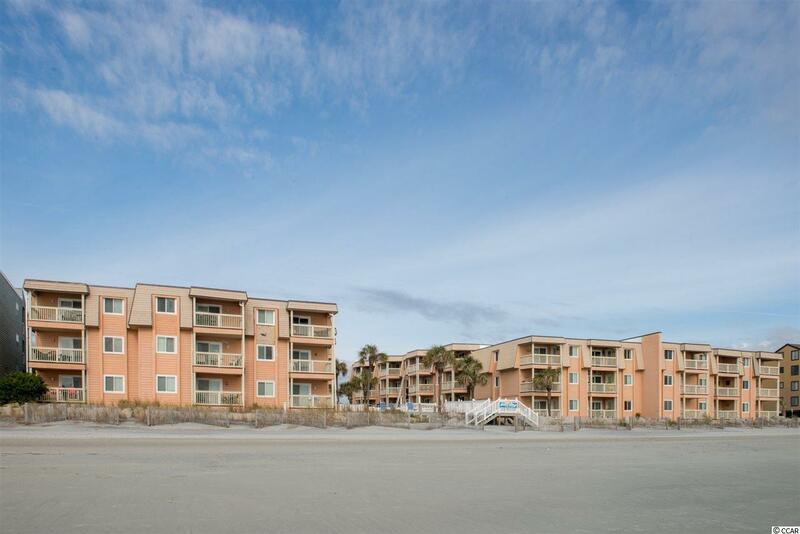 The complex is located steps away from the sand and salt of the Atlantic Ocean and a short walk to the Garden City Beach Pier, local restaurants and entertainment. 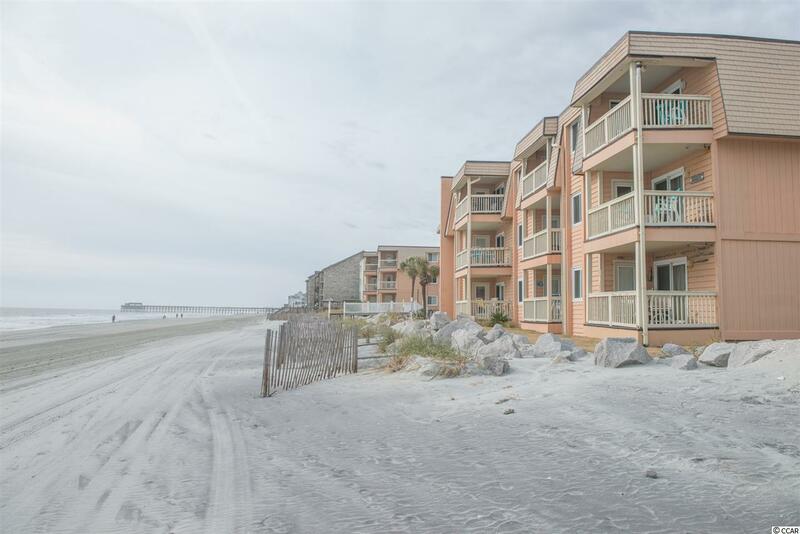 Within a short drive, you will find several golf courses, restaurants, the Murrells Inlet Marshwalk, entertainment and shopping. 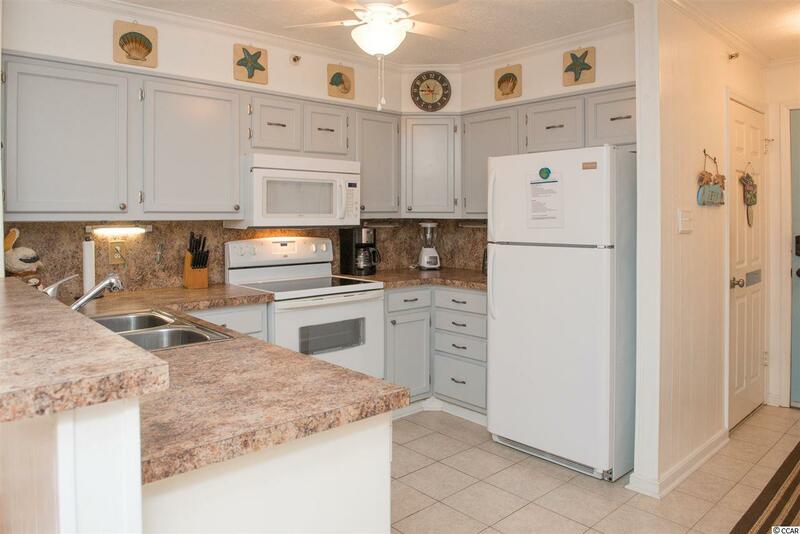 Inside the condo, you will find a workable kitchen with painted cabinets should you decide to stay in and cook. The living room has laminate flooring, a sleeper sofa and access to the ocean view balcony. Both bedrooms are located on the left side of the condo with the master bedroom having views of the ocean and access to the balcony. Off the hallway and between the two bedrooms, the owners have converted the washer/dryer area to a custom built bar area (WASHER AND DRYER HOOKUPS ARE STILL IN PLACE BUT HAVE BEEN CAPPED). Should you decide to rent the condo, the front closet is spacious and could be used as an owners' closet. All appliances, kitchen items, decor items and linens will convey with the sale. Updates to the condo include carpet in the bedrooms, paint, light fixtures in the kitchen, carpet on the balcony, toilet in master bathroom and custom bar. The complex features an outdoor pool and large deck with access to the beach.